As societies are becoming increasingly hyper-connected, mobile connectivity is emerging as a core topic for the automotive industry, says Giesecke & Devrient. Approximately 75% of all cars shipped in 2020 will be delivered with integrated connectivity. This is according to Giesecke & Devrient (G&D), who notes for 2020, 92 million registered passenger vehicles are forecast, of which approximately 69 million will be equipped with integrated connectivity. Altogether, 1.1 billion vehicles are expected to be on the road in 2020, about a fifth of which, 220 million, are forecast to include connectivity. Scotiabank says in 2014 approximately 70 million passenger cars were registered worldwide, of which only 10% included connectivity. As societies are becoming increasingly urbanised and hyper-connected, mobile connectivity is emerging as a core topic for the automotive industry, says Stefan Auerbach, group executive mobile security at G&D. Vehicles of the future will be fully networked, independent, mobile ecosystems with specific services, he adds. "Even today, e-Call, autonomous driving, car-to-x communication, and mobility and telematics services are on every car manufacturer's road map. "Consumers increasingly demand connectivity services such as WiFi for passengers and external Internet connections for music streaming, navigation, and other applications." There are a range of new services in this sector - including pay-as-you-drive insurance, location- or context-related services, pay-per-use for additional functions, and customised driver features, says Auerbach. "All those services use universal communication channels that require scalable security solutions to cover the entirety of the system's end points. Secure connectivity is the key to these ecosystems." Gartner predicts by 2020, there will be a quarter billion connected vehicles on the road, enabling new in-vehicle services and automated driving capabilities. The proportion of new vehicles equipped with this capability will increase dramatically, making connected cars a major element of the Internet of things, it says. James F Hines, research director at Gartner, says the connected car is already a reality, and in-vehicle wireless connectivity is rapidly expanding from luxury models and premium brands, to high-volume midmarket models. "The increased consumption and creation of digital content within the vehicle will drive the need for more sophisticated infotainment systems, creating opportunities for application processors, graphics accelerators, displays and human-machine interface technologies." 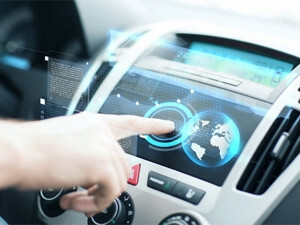 Currently, vehicles are evolving from being just a mode of transportation into mobile computing centres which include connectivity to the Internet and connectivity with other vehicles, says tech blogger Liron Segev. There is a definite move to self-driving cars being driven by the aim to have complete road safety, he adds. Meanwhile, ABI research, says security will start dominating safety and security telematics in the future, despite the fact no real case of malicious car hacking has been reported yet. Security becomes an even bigger concern with autonomous vehicles, and even more so with driverless cars, in which software and connectivity plays a much bigger and more critical role for the safe driving of vehicles, it says.